One of our most popular in the smaller Victorian series, this gaslight Victorian fits many decor styles. 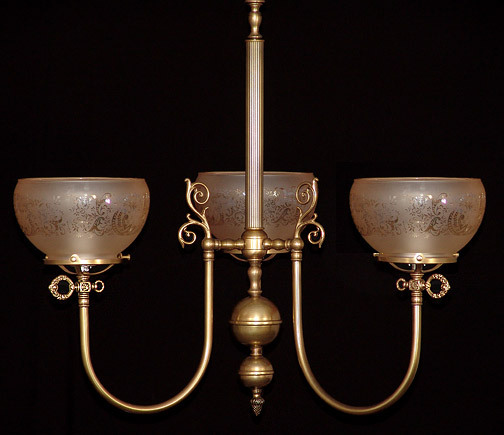 French glass adorns this gem, Complete with faux cast brass gas keys and constructed from solid brass parts! Goes well in the kitchen to match our incredible NCH35 larger victorian in adjoining dining room.